With this module you can very easily manage groups of customers, in communicating a code to your customers that is valid at the time of registration or in the 'my account' section. 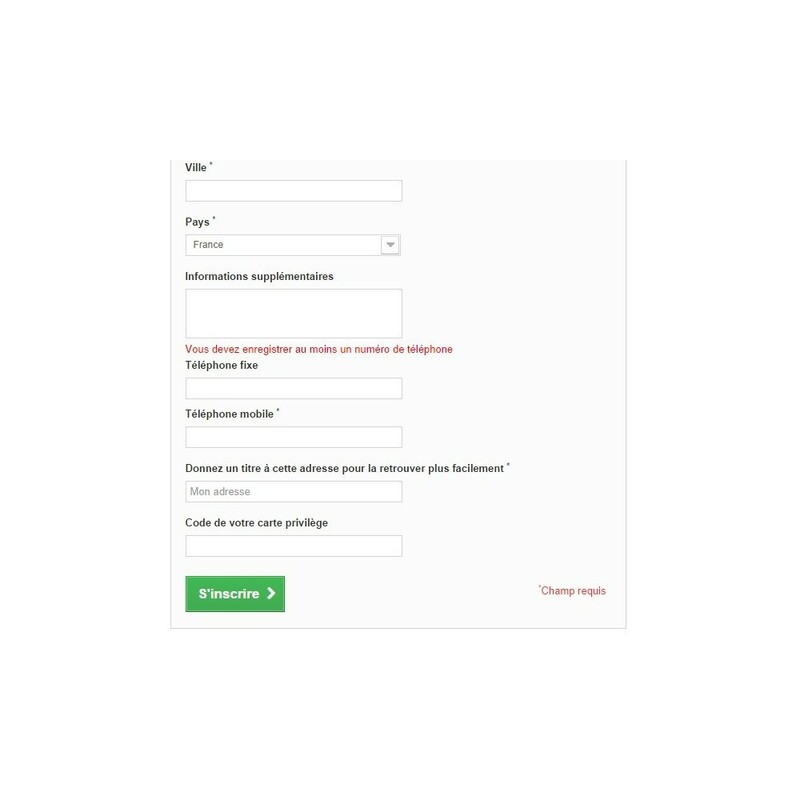 Valorise your customers by giving them a code that will transfer them automatically (or after manual validation) in a group of customers ("VIP" with a discount, "professional" to see price without VAT...). the store on which this code work. Each time a code is used, the quantity for this code is decremented, and when the amount of code is 0, it can no longer be used. As long as the validation is not done, the customer remains in its customer group. If you manually validate a customer, he will receive an email for inform him that code has been validated. Module configuration and the customers list is also posted in homepage back office. If the start date has not yet passed, or if the end date has already passed or if the amount is 0 then the field which prevents the use of the code by customers is highlighted in red, you will immediately see codes that can't be used. Esse addon permite que você faça logon na loja eCommerce, do seu back-end, como um cliente. O administrador pode fazer login e obter acesso à conta do cliente sem saber a senha. With this module, you can assign one or more employees as owners of selected product or order, who will have access to this product or order. Order could be automatically owned by owners of ordered products and owners could be notified by email. Your customers will feel valued and have confidence in your store, they will receive an email confirmation once you have validated the code (if the code is in manual validation). 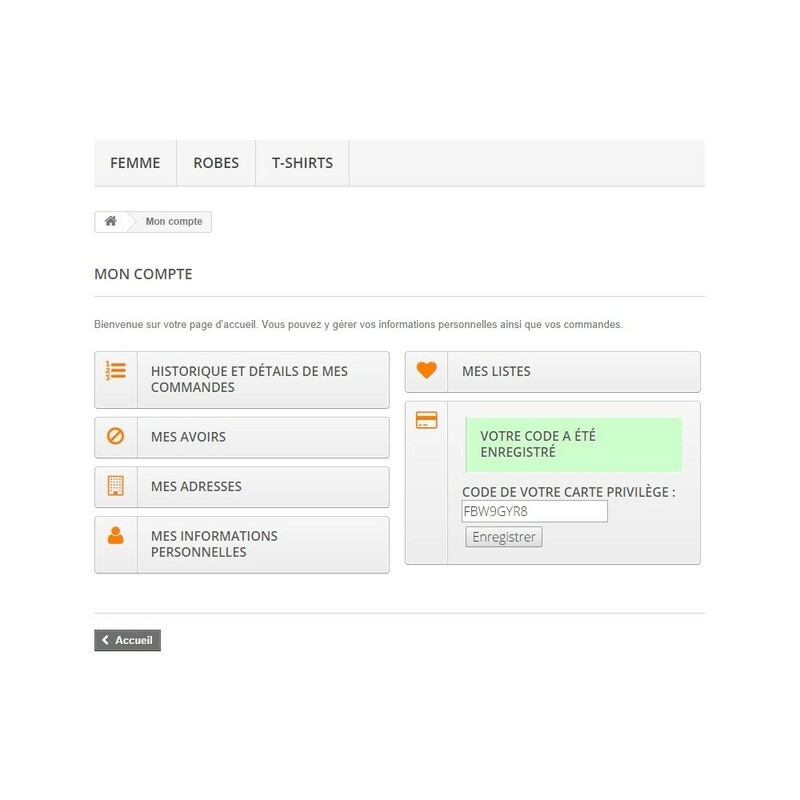 You can send a newsletter with a code and indicate "valid for the first 100 customers" , or then give a unique code (quantity = 1) to a customer, no one else can use it.